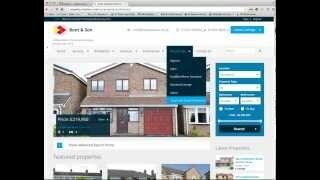 Welcome to the cleartarn CMS demonstration website. The whole of this site is generated from the cleartarn Content Management System (CMS) and includes a number of additional modules such as Noews, Videos, Blogs, Gallery and the Forms and Testing modules. The style of the site is completely configurable. This means that the content of the site, which is stored on a server database is presented through a template which provides the look and feel to the site. This approach gives major advantages as the site can be modified with a new 'look and feel' at any time without having to re-construct the content. The pages, news articles, blogs, galleries etc. are created using an easy to use administration system. Pages and content can easily be prepared and either published immediately or dated for future release or held for approval. Similarly pages and content can be restricted to logged in users allowing information to be seen or downloaded only by those who have been given permission. The system has very sophisticated search engine optimisation capabilities, much of which is automated, including notifying the search engines when content has been changed. The modules themselves are very powerful and you can create and easily modify simple to very complex websites and databases from the Administration panel. The forms, E-learning and online testing modules are simple to use and can be used for creating any number of surveys, E-learning, online assessment and form materials. Pages and forms can be protected by login requirements and you will see that unless you are logged in then you cannot view any reports from the menu. The blog system provides another powerful way of regularly communicating with your customers and as with the news system and the CMS pages search engines are automatically notified of changes and new entries. A mailing system with user managed mailing preferences is also available. If you have been given administrator access then please feel free to add pictures and edit in any way you choose. If you would like access to the control panel or see a demonstration of the capabilities of the system, please contact us. The system can also be customised to suit exact customer configurations, so please contact us to discuss your exact requirements.